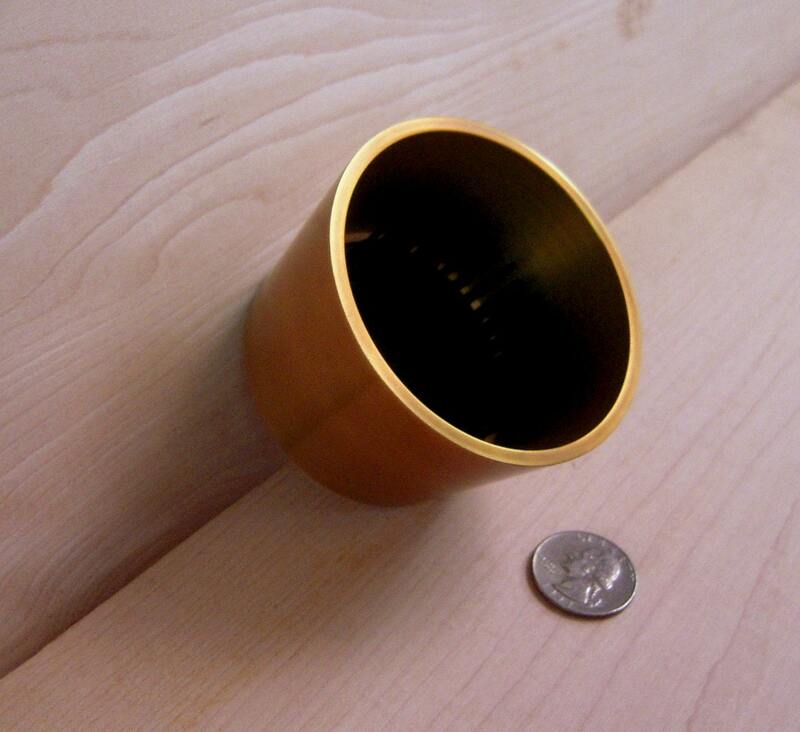 Each individual cup is made of Solid Antique Brass and is tapered in design with an outside diameter of just over 3 1/16"" at the top and tapers down to about 2 9/16" at the bottom. 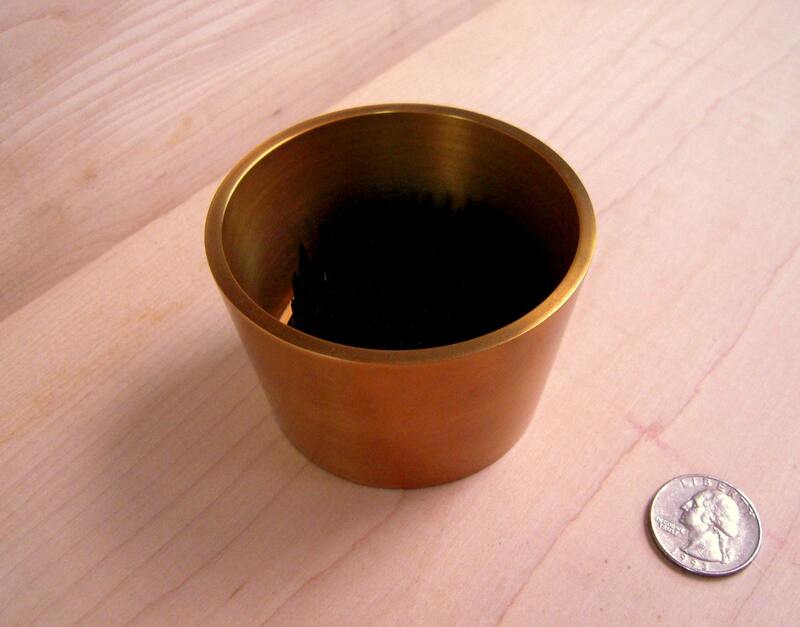 The cup is about Two inches ( 2") deep. 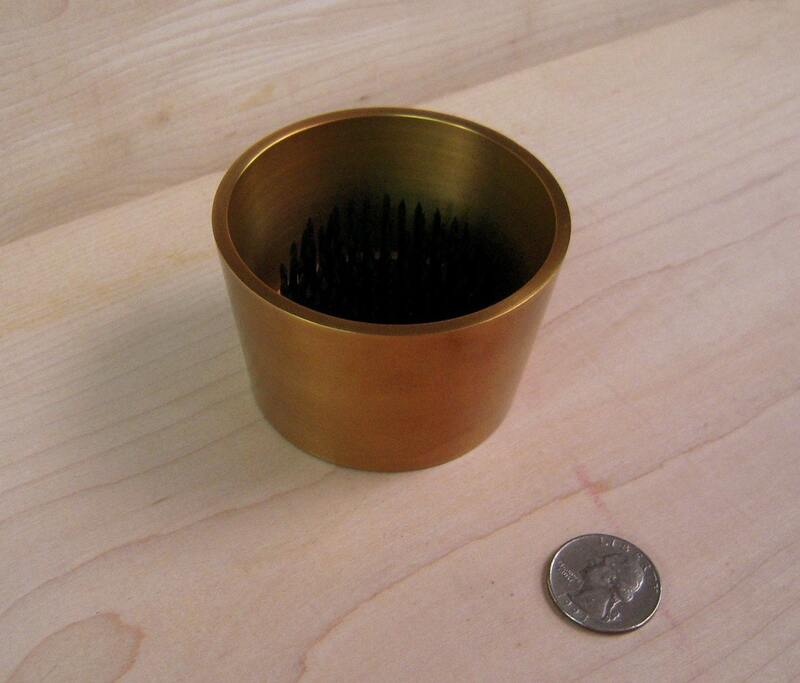 Each cup has a 2 1/4" pin frog ( Kenzan) attached to the bottom of the cup made out of Strong Steel Pins set in a lead zinc base. 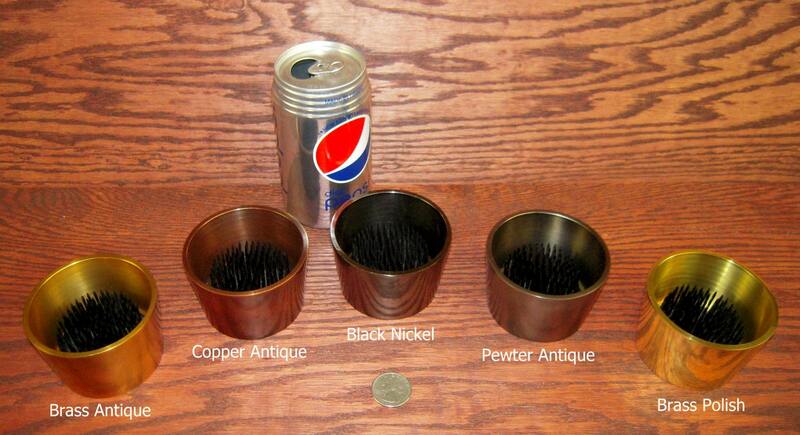 I also have these same Water Holding Kenzan in Four other Chemically Treated Colors (Black Nickel); (Polished Brass); (Pewter Antique) and (Copper Antique) which are all listed in separate listings . The last pictures shows all five Color Samples ! 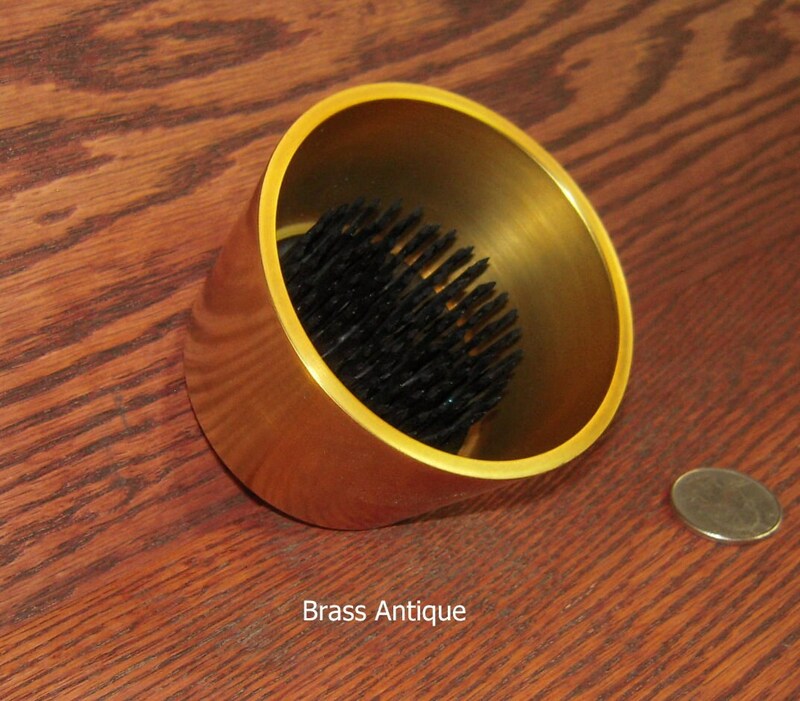 These kenzan are High Quality Solid Antique Brass and each weighs 1 pound 5 ounces ! !